Hooked is not only home of the best fish and chip takeaways in Hong Kong, it is now operating a fresh Seafood Market as well. Showcasing fresh (non-farmed) wild sustainable line caught fish direct from New Zealand. 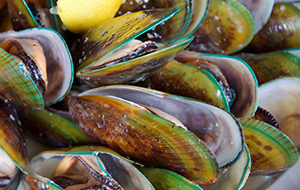 This includes a wide variety of fish, shellfish, smoked fish, mussels, clams, oysters and pates. 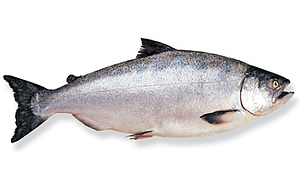 All of our fish as mentioned above is certified sustainable by both Marine Stewardship Council and Friend of the Sea. In addition to the this, fishing in New Zealand is also controlled by very strict fishing quotas and is seasonable, therefore ensuring our fish is neither threatened or endangered. Picked out your favourite piece of fresh fish? Skip the hassle of cooking it yourself and let our crew at Hooked cook it for you while you wait. 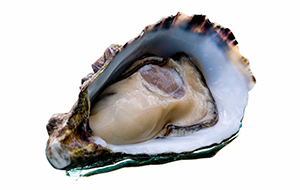 With the addition of the Seafood Market we can now provide you some space to sit whilst you enjoy a freshly shucked New Zealand or Australian oyster with Hong Kong's best fish and chips. Carefully caught by long line on the East and West Coast of New Zealand. It is all wild and running free in the ocean enhancing its flavour and taste. 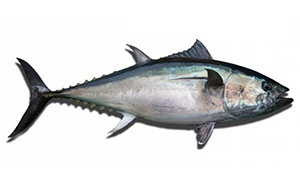 Southern Bluefin Tuna makes beautiful sashimi and is rich in fat and melts in your mouth. The flesh has a wonderful red/pink colour. The highly prized belly section of the fish has a very high fat content providing a superior taste. Sushimi grade. 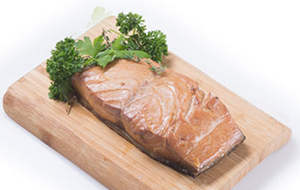 Our flagship product, New Zealand King Salmon fresh from the pristine waters of the Marlborough Sounds. Free of vaccines, antibiotics and colouring pellets. It is very high in Omega-3. Pink flesh, soft in texture and full of succulent flavour. Sushimi grade. 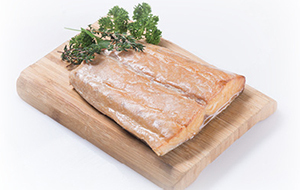 New Zealand Red Snapper fillets are soft to medium textured with a delicate flavour. An ideal fish for practically all applications. Sushimi grade. 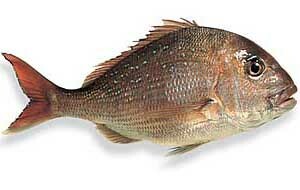 One of New Zealand's most popular fish. 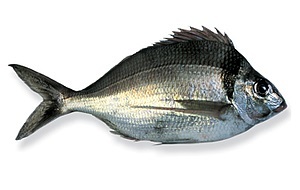 The Tarakihi has a white flesh that is suitable for most cooking methods. It has a mild, slightly sweet flavour with delicious soft texture. Ideal for pan frying or grilling. Sushimi grade. Unique to New Zealand waters. The Blue Cod is a very popular eating fish with white flesh. Fantastic fried or breadcrumbed (Hooked's signature battered or crumbed fish). Previously Snap Frozen at sea. 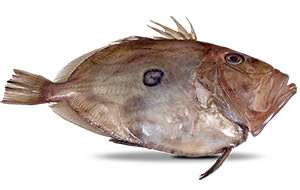 John Dory is quite common in the coastal water of northern New Zealand, particularly from Bay of Plenty northwards. 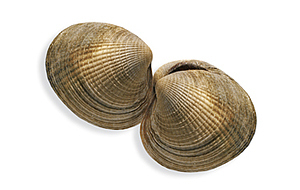 Their fillets have a firm white flesh that is very deep and short, tapering sharply. Sushimi Grade. 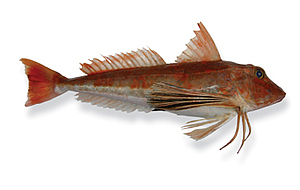 Red Gurnard fillets are rather slender with a firm to medium pink flesh that is low in fat while still being high in Omega-3. Suitable for most cooking methods, particularly baking, currys or wrapped slow cooking. Sushimi grade. 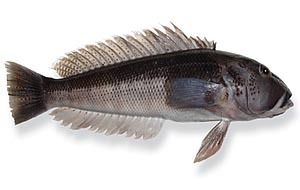 Deep water species found off the West Coast of South Island and Cook Straight. Delicate, moist flesh with mild smokey flavour. Flakes easily. Ideally for fish pies and fish cakes. Another popular item on the Hooked Fish 'n' Chip menu. Previously Snap Frozen at sea. Found mid water in most coastal waters. For those who prefer a stronger flavoured fish. Ideal in pies and hash. Darker flesh colour and high oil content. Available plain or with Lemon Pepper or Cajun Chilli flavours. Sourced from the deeper waters around Southern New Zealand. It has white flesh with a firm texture and is utterly delicious. Great as it is or in salads and pastas. 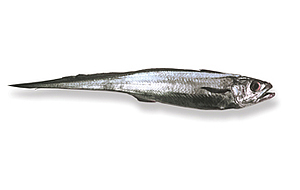 It has a high oil content and an excellent source of Omega-3. Smoked King Salmon, Smoked Fish, Smoked Greenlip Mussels. 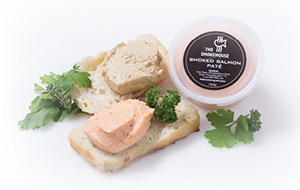 All our pates are handmade from the finest selection of smoked King Salmon, smoked fish and smoked Greenlip Mussels combined with a few secret ingredients. They are available as individual pottles or in a handy tri-pack. Best served at room temperature with crusty bread or your favourite crackers. Beautiful succulent oysters with a lovely combination of creaminess and an after ocean sea taste. One of the top 2 eco friendly seafoods, the Green Lipped Mussel is high in Omega-3 and has been shown in research to help maintain joint mobility. Partly cooked within a vacuum pack. These mussels originate from the pure and food-rich waters of the Oosterschelde and the Wadden Sea. Producers have BRC certification, which highlights the safety of production processes, environmental friendliness and sustainability. 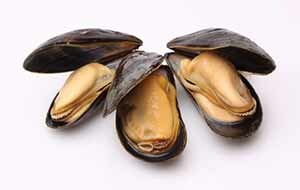 Blue mussels have a distinctive rich, sweet taste, like a blend of oysters and clams, and go great steamed or in pasta salads and seafood soups. Scallops are sustainably wild caught and shucked at sea. 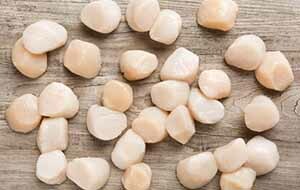 The shucked scallops are placed in semipermeable bags and frozen on the boat for the journey home. 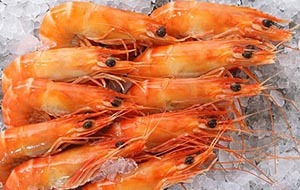 For superior quality and full taste, Spencer Gulf King Prawns are renowned throughout the world as the premium species of prawn. Wild caught straight from the cold clean waters of the Spencer Gulf in South Australia. They are a certified sustainable product that is full of natural flavour. Snap Frozen Vacuum pack. 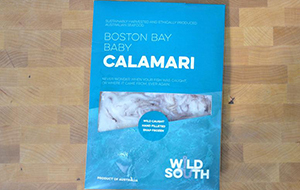 Another superior world renowned product from the pristine waters of South Australia, Boston Bay Calamari. Wild and sustainably caught. A product that is significantly more tender than your common squid. Snap Frozen Vacuum pack. For any queries and questions you can email info@hooked.hk or use the form on the contact page. Alternatively call us on 2915-1118.